Every year now, for nearly 20 years, I have chanted one of the Synoptic passion narratives in our chapel service for the Monday of Holy Week. I have also received requests from pastors every year for a copy of my notation of the text, remembering it chanted when they were here as students. I’m always ..
Rev. 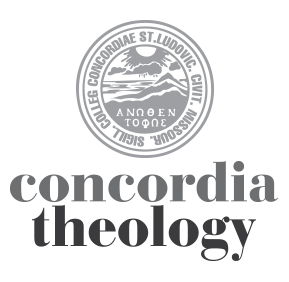 Travis Scholl is managing editor of theological publications at Concordia Seminary, St. Louis. His most recent book is "Walking the Labyrinth" (IVP 2014). He writes on religion and culture for the St. Louis Post-Dispatch at www.stltoday.com.